Foreign nationals who wish to enter Algeria for a period not exceeding 15 days can enter with a business visa. This visa allows the holding of meetings (internal or with clients) but not the provision of services. 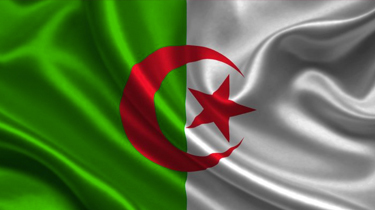 Foreign nationals who wish to work in Algeria under a contract that has a duration of less than three months must obtain a temporary work authorization. It can be renewed once in a year. Under Article 9 of Law No. 81-10, a foreigner who is assigned in Algeria for a duration of less than 15 days does not require a temporary work authorization. However, a temporary work visa is always required. To obtain the visa, a foreign national must justify his or her work in Algeria. After the granting of a temporary work authorization and work visa, a work permit is required. A work permit's validity may not exceed two years, but it is renewable. French nationals benefit from a special regime. They need to obtain a foreign worker declaration instead of a work permit. A foreign worker working as a managing director of an Algerian entity is exempt from the work permit requirement but needs a business professional card and, in some circumstances, a residence card as well. All foreign workers from countries with which Algeria has entered into social security agreements who are pursuing an activity in Algeria while maintaining an employment contract with their employers abroad may elect to be subject to the social security system of their home countries and be exempt from social security contributions in Algeria. To implement this election, the employer must give a copy of a detachment certificate (certificat de detachement) to the employee, who then submits it to the national social security fund (Caisse Nationale des Assurances Sociales, or CNAS). Employer contributions are paid and employee contributions are with held monthly. The rate of the social security contributions are 26% for employers and 9% for employees. Algeria has entered into social security agreements with Belgium, France, Romania and Tunisia. Social security contributions are based on gross compensation paid, including fringe benefits and bonuses. Some benefits paid on an exceptional basis can be exempt from social security contributions under certain circumstances.